Our hands are precious and powerful. We use them every day and yet they rarely get the credit or the treatment they deserve. Did you know that your hands are one of the first things to age? Those lines and wrinkles you’re nervous about appearing on your face? Nah…it’s your hands they’ll get to first! And we still use and abuse them – we wash them all the time which strips the skin and nails of their natural oils, and then we suddenly realise we have ‘old lady hands’ and it’s too late! Now we are not for a second telling you not to wash your hands (horror!). We are however saying you should treat your hands and nails with very loving care. 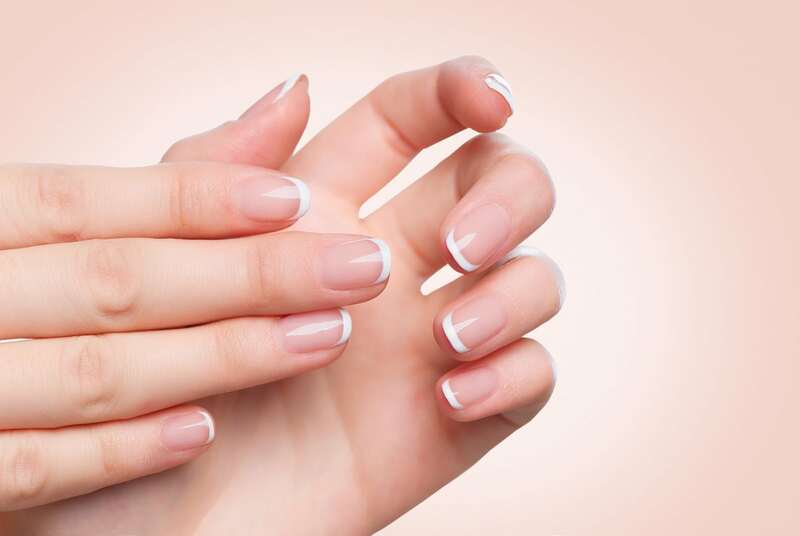 Here’s our 23 top tips for hand and nail care to keep those beauties looking beautiful. 1. Moisturise! Invest in a good quality hand cream and apply twice daily to really make sure your skin is being rehydrated – keeping it plump and supple, scarring those wrinkles away. 2. Apply cuticle oil, preferably one containing jojoba oil as a main ingredient as this has the properties which closely match that of our skin’s oil (called sebum). 3. Gently push back your cuticles to release the edge from your nail plate. Don’t push too hard because you could damage your nail bed – just gentle enough to lift them slightly – this will help your nails to grow faster and help keep those overgrown or dry parts of your cuticle at bay (and don’t forget that cuticle oil!). 4. When you’re filing your nails – use long and controlled movements and only ever file IN ONE DIRECTION! See-sawing will split the layers of your nail. This can also send shockwaves through your nail to the nail matrix which can cause ripples and ridges in your nail as it grows. 5. Sporting a fabulous gel polish manicure? DON’T PEEL IT OFF! 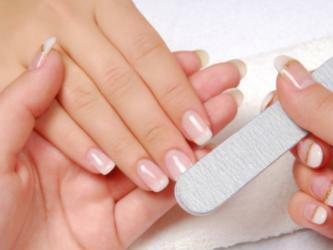 You are peeling off the top layer of your nail which is why underneath your nails are dry and split. Get them removed professionally or learn how to do it properly at home. 6. Never ever forget to use a base coat. It’s like the underwear of your manicure – don’t leave home without it! A base coat helps the polish adhere to the nail plate better, it stops your nails from staining AND quality products like our ‘Bed Rock’ Base Coat will be enriched with a nourishing and/or strengthening property. 7. After each coat of polish, gently brush across the edge of the nail tip to ‘cap’ off the nail as this will help prevent premature chipping and peeling of the polish. 8. Two or three THIN coats of polish are better than one or two thick coats. You’ll be more in control and the layers will dry much quicker if you do a few very thin coats to build up the colour. 9. Just like the base – you should never forget a top coat. Not only does it seal off your manicure preventing it from chipping and making it last longer, it also adds a glorious shine and really brings out the glitter in the polish (if there is any). Of course you can always use a matte top coat instead if shiny isn’t your thing. 10. Been 3 or 4 days and you’re nails are starting to look dull? Re-apply your top coat. Yes seriously! It will prolong the wear of your polish by a day or two and brighten up your manicure. 11. NEVER blow your nails to ‘help’ them to dry. There is moisture in your breath which will only slow down the drying process….and you’ll just dry the top layer and end up with dents or scuffs in the polish because you think you’re good to go. Air drying is always best. 12. Wait 2-3 minutes between each coat before applying the next coat to give them a chance to dry. This will also prevent the next layer from streaking because it’ll have a clean, dry surface to adhere to. 13. Your nails are jewels and NOT tools! Wherever possible, don’t use your nails to pick or scratch or open cans or work with anything fiddly. Treat them with tender care and use proper tools for the job instead. 14. DON’T BITE, NIBBLE OR PICK! We know it’s tempting if you have stray bits of nail or skin – but grab your nail file or cuticle nippers to snip the stray dead bits off and for goodness sake, leave your nails alone! 15. Your nails and skin are their weakest when they’re wet – so resist the urge to pick and poke in the shower or bath. Have a hangnail you can see? Wait til you’re out the bath and your hands are dry before snipping it off. Biting or pulling the skin around your nails when it’s wet will be oh so sore when they dry. 16. Always start painting your nails using your non-dominant hand FIRST. You have more patience when you start and you won’t have any wet polish on that hand to smudge. 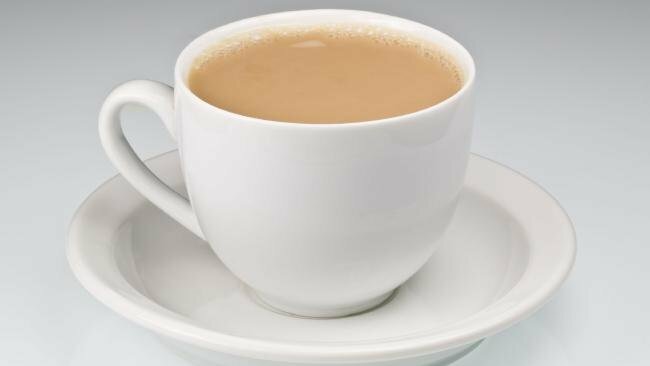 You’ve just got to try this one out to believe us. It’s the way forward. 17. Already have weak nails? Prone to breaking off or snagging? File them into a rounded shape. 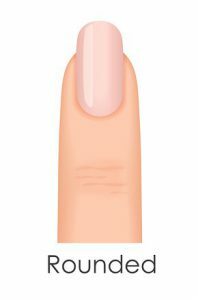 This nail shape is the strongest and you won’t have any corners so they’re less likely to catch and break. Check out our 5 Perfect Nail Shapes and How To Achieve Them blog for more details! 18. Always clean your nails with nail polish remover before applying polish. Even if you had naked nails before, using nail polish remover will clean off any dirt or grease on your nail plate leaving a nice clean surface for the polish to adhere to. This is called ‘squeaking the nail’, and will make your manicure last longer. 19. Buy and use acetone free nail polish remover where possible. Acetone is extremely dehydrating and terrible for the health of your nails – there are plenty of acetone free removers out there but you have to look for it. 20. Once you’ve soaked the cotton pad in some polish remover hold it on your nail plate for 4-5 seconds before gently sliding down to the tip of the nail. This will give it a chance to soak through the layers of polish making it easier to come off and eliminating your need to scrub the nail. 21. Don’t like coloured nail polish? Can’t wear it because of work? Don’t go naked! At least apply 1-2 coats of a good quality non-toxic and nourishing base coat. It will illuminate and protect your nails and give you a nail treatment in one. 22. When applying colour, start with the brush a fraction below the cuticle and NOT on it. Painting onto the cuticle makes the polish bleed into the nail bed and looks messy. It’s also more likely to chip and peel much quicker. 23. Probably the most important tip of all – make sure to give yourself plenty of time to do your manicure! Go to the loo, make that cup of tea, and have everything to hand before you begin. Choose a nail polish which is non-toxic, and therefore better for your health. There is absolutely no need for nasty chemicals in polish (or indeed any cosmetics!). LivOliv is proud to be 5-Free – which means our polishes don’t contain formaldehyde, formaldehyde resin, camphor, toluene or dibutyl phthalate (DBP). As a bonus our products are also cruelty- free and vegan. There are healthy and kinder alternatives to your regular polish brands which will be better for your overall health. And above all else – Liv…Happily! P.S. We have made our 23 tips available as a free downloadable ebook. Simply add it the basket, checkout and download. Enjoy. 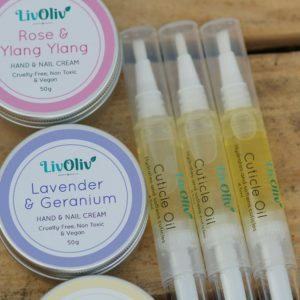 ← 10 Vegan Beauty Christmas Gifts You Need to Know About!